Richard McKenna is an author on the cusp of writing his third and final book. However, things get a little waylaid when the truth comes out. He flees to Boston, to lick his wounds, heal and unwind. However, the Hotel he is staying at isn't so quiet because his room is haunted. He feels like a pawn, who is moved around the board, with someone always telling him, you can trust me. But who can Richard really trust? After all isn't everyone out for their own interest and self-promotion? And since when can any vampire be trusted? More importantly: will he survive? And what is all this talk about an ancient curse and the book of the dead? Only one thing he knows for sure: he’s the chosen one to end the curse. I got it on the Kindle when it was sold on that platform. I think it started off strong, and then as I got further (mainly part 3), it really started to lose what investment I had in it. I liked the idea of how this particular Vampire worked in regards to what others have done to them, which felt fresh (And I really don't like Vamps, because of what many have done to them over the years). Given that aside to my thoughts on the fantasy creatures. The characters for me were kinda vain. I mean really who cares about how good you look while cutting down a few zombies (one overused creature these days, but Cynthia made them a bit tougher than a simple bullet to the noggin), as it felt more a little more over the top. I mean honestly who cares how good one looks when doing such a messy business? But my main gripe is over the Part 3. It felt a bit rushed and forced with all the elements about it. The 'bad guy' becoming 'good', over sentimental feelings was a tad much. And the whole chosen one thing is a bit overplayed these days. Though I found that character to be a bit of a whiny wuss, to be honest. Overall it was entertaining to read, even though it seemed like it was trying a bit too hard to make you like the characters. While they had some depth, were a little superficial and standard to their roles. They were somewhere between fleshed out creation and puppets dancing to the tune of the plot, which is a shame. It eroded the excitement of the story as time went on, falling prey to the predictability of where the ending led up to. Leaving for me at best a decent actiony adventure story, that escalated to a less than satisfying conclusion. In a way this could have been much better if the characters were more off the cuff, and a little less standard tropes for their roles. Also while it was entertaining for what it is, felt like it was a little too long for a story of this caliber to be. So if you like Vampire action, it will deliver. But if you like character growth, you may be at a bit of a loss. 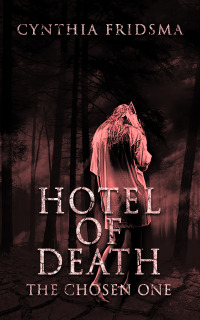 The Hotel of Death is well-written and exhilarating. I look forward to more books from Fridsma. It's not perfect, but a good one!